Below you fill find all funeral homes and cemeteries in or near Beatrice. Suburbs of Beatrice: Ellis, Glenover, Hoag, Holmesville, Homestead National Monument, Riverside, Rockford. Beatrice is also known as: Gage County / Beatrice city. Their current mayor is Mayor Stan Wirth. Zip codes in the city: 68310. Some of the notable people born here have been: Kinzy Jo (actor). Beatrice (/biːˈætrɨs/ bee-AT-rəss) is a city in and the county seat of Gage County, Nebraska. The population was 12,459 at the 2010 census. Beatrice is located 40 miles (64 km) south of Lincoln on the Big Blue River. It is surrounded by agricultural country. It was noted by Beatrice Daily Sun on March 29th, 2019 that Mabel Eileen Bradsby (Hellmer) perished in Beatrice, Nebraska. Ms. Bradsby was 93 years old. Send flowers to share your condolences and honor Mabel Eileen's life. It was reported by Beatrice Daily Sun on March 27th, 2019 that Dolores J Genrich (Oltman) passed on in Beatrice, Nebraska. Ms. Genrich was 87 years old. Send flowers to share your condolences and honor Dolores J's life. It was reported by Beatrice Daily Sun on March 25th, 2019 that Maxine H miss Hamher passed on in Beatrice, Nebraska. Hamher was 88 years old. Send flowers to share your condolences and honor Maxine H miss's life. It was disclosed by Beatrice Daily Sun on March 25th, 2019 that Pauline Sue Lawson (Hutchison) passed on in Beatrice, Nebraska. Ms. Lawson was 72 years old. Send flowers to share your condolences and honor Pauline Sue's life. It was reported on March 22nd, 2019 that Leona Josephine Gaydusek (Loomis) died in Westmoreland, Kansas. Ms. Gaydusek was 92 years old and was born in Beatrice, NE. Send flowers to express your sympathy and honor Leona Josephine's life. It was disclosed by Beatrice Daily Sun on March 19th, 2019 that Dale Ivan Kasparek perished in Beatrice, Nebraska. Kasparek was 77 years old. Send flowers to express your sympathy and honor Dale Ivan's life. It was written by Beatrice Daily Sun on March 16th, 2019 that Eleanor J Rector (Genrich) died in Beatrice, Nebraska. Ms. Rector was 94 years old. Send flowers to express your sorrow and honor Eleanor J's life. It was written by Beatrice Daily Sun on March 12th, 2019 that John A Bauer perished in Beatrice, Nebraska. Bauer was 88 years old. Send flowers to share your condolences and honor John A's life. It was revealed by Beatrice Daily Sun on March 12th, 2019 that Kelly R miss Knudsen perished in Beatrice, Nebraska. Knudsen was 56 years old. Send flowers to express your sympathy and honor Kelly R miss's life. It was revealed by Beatrice Daily Sun on March 12th, 2019 that Vernon L Parker passed on in Beatrice, Nebraska. Parker was 76 years old and was born in Featherston, OK. Send flowers to express your sorrow and honor Vernon L's life. Beatrice is a city in Gage County, Nebraska County, Nebraska, 40 miles (64 km) south of Lincoln, Nebraska on the Big Blue River (Kansas) Blue River. In 1900, 7,875 people lived in Beatrice and 10,883 populated Beatrice in 1940. 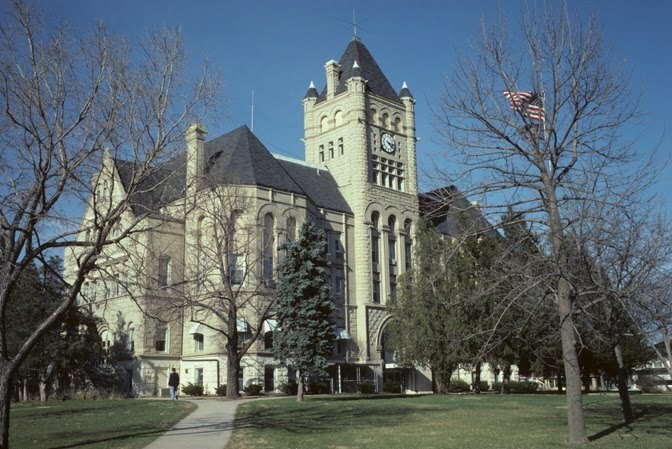 It is the county seat of Gage County, Nebraska County . The surrounding region is rich agricultural country. Settled in 1859, Beatrice was incorporated as a town in 1871 and became a city two years later. The official website for the city of Beatrice is https://www.beatrice.ne.gov/. Listing all funeral homes in Beatrice, Nebraska so you can easily send flowers to any location (same day delivery) or find any funeral service. funerals in Beatrice, NE 68310 on Yahoo! Local Get Ratings & Reviews on funerals with Photos, Maps, Driving Directions and more. Funerals in Beatrice, NE on Yahoo! Local Get Ratings & Reviews on Funerals with Photos, Maps, Driving Directions and more. We work with local florists and flower shops to offer same day delivery. You will find budget sympathy flowers in Beatrice here. Our funeral flowers are cheap in price but not in value.